1Q17 PATMI of S$845mn met our estimate of S$839mn. Better yields from interbank loans and loans growth supported NII growth. 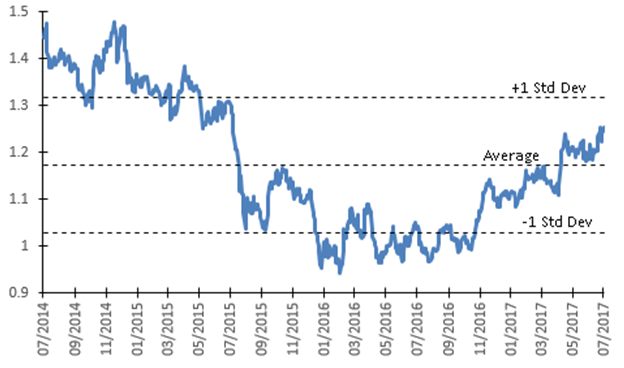 Maintain “REDUCE” with a higher target price of S$20.18 (previously S$19.20) based on Gordon Growth Model (previously 0.95x FY17F PBR, excluding preference shares). + Property markets fared well regionally and has turned around at home. Higher Buildings and construction loans and Housing loans in 2Q17 boosted loan growth. Housing loans NPL remained at 1% with stable asset quality outlook. + Stronger Net Interest Income (“NII”) YoY due to higher yields from interbank loans and higher customer loans growth. UOB had opportunities to place out higher yielding interbank loans in the 1H17. Strong broad based loans growth YoY offset decline in customer loans yield as overall economic sentiments improve. – Competition for loans could weigh on NIM. As increases in SIBOR and SOR continue to be muted, we expect UOB’s loans to shift away from SOR and SIBOR pegged rates and to adopt board rates such as fixed deposit pegged rates. Inasmuch as board rates give the flexibility to charge a higher spread, the board rates are also determined by competitive forces. 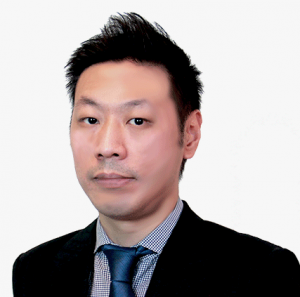 Since Singapore housing loans is a highly competitive market and has a significant weight on UOB’s loan books (27% in housing loans by industry exposure and 55% in Singapore by geographical exposure), we expect a significant pressure on NIM coming out from the Singapore property housing loans segment. – UOB Indonesia continued to underperform its peers as a Singaporean bank and a Malaysian bank have reported their 2Q17 Indonesian results. Given UOB’s Indonesian unit lower Profit Before Tax (“PBT”) percentage contribution, we believe UOB still has a long way to go in order to gain traction in Southeast Asia’s largest economy. We expect ample opportunities to place out higher yielding interbank loans in 2nd half of 2017 which will offset some of the competitive pressure on Singapore housing loans. Therefore we expect NIM to remain unchanged at 1.73% for FY17e. This is an improvement from previous FY17e NIM estimate of 1.69%. With a higher NIM outlook, we revised our FY17e net interest income growth estimate to 6.8% (previously 4.6%). Management has continued to guide a 32 basis points credit cost this year so we estimate FY17e provisions to be S$730mn (previously, S$680mn). Barring sudden macro and geopolitical volatility, we are revising our valuation to reflect the overall improving economic sentiment and a recovering Singapore housing market. Maintain “REDUCE” with a higher target price of S$20.18 (previously S$19.20). 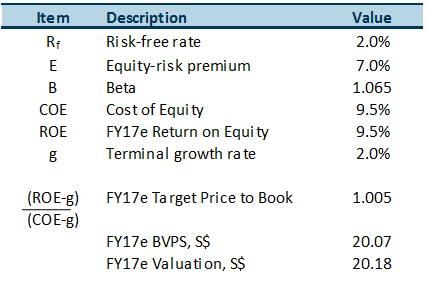 Our target price is based on Gordon Growth Model (previously 0.95x FY17F book value, excluding preference shares).